"Who you gonna call?" 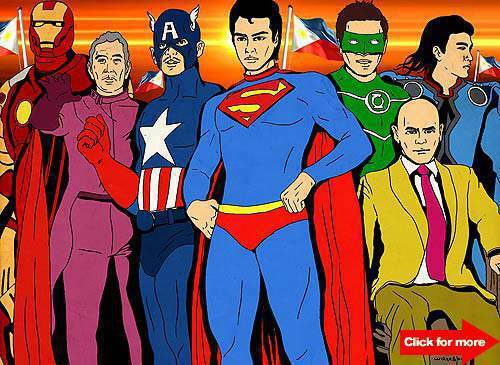 Budjette Tan, one of the country’s best known comic book writers, reveals his Superpower Savior A-List. Superhero teams like the Justice League and the Avengers have saved the world countless times. They’ve saved the universe from alien invasions. They’ve even saved reality from being erased. But what would it take to save the Philippines? 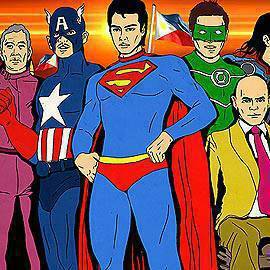 Perhaps it’ll take the combined powers of selected superheroes to bring peace and order to our country. Budjette Tan is one of the best known comic book writers in the country. He co-founded Alamat Comics and has written comic-book stories like Batch72, The Flying Phantom, Payaso, the famous series Trese and Underpass, published by Summit Books. The "No More ’Just Tiis’" League? Click for more.